A New Hampshire man pleaded guilty today to remotely hacking into the online accounts of almost a dozen female victims and sending them threatening online communications, in some instances containing sexually explicit photos, in order to force the victims to send him sexually explicit photos of themselves. Assistant Attorney General Leslie R. Caldwell of the Justice Department’s Criminal Division, U.S. Attorney Emily Rice of the District of New Hampshire and Resident Agent in Charge Holly Fraumeni of the U.S. Secret Service’s Manchester, New Hampshire, Field Office made the announcement. According to admissions made in connection with his plea, from 2011 through March 2016, Vallee, using various aliases that included “Seth Williams” and “James McRow,” engaged in a computer hacking and “sextortion” campaign designed to force numerous victims to provide him with sexually explicit photographs of themselves and others. Vallee admitted that he employed a variety of techniques to force his victims to cede to his “sextortionate” demands. For example, according to the plea agreement, he repeatedly hacked into and took control over the victims’ online accounts, including their email, Facebook and Instagram accounts. Once he had control of these accounts, Vallee locked the victims out of their own accounts and, in some cases, defaced the contents of the accounts, he admitted. According to the plea, in at least one instance, Vallee hacked into a victim’s Amazon.com account, which stored her payment information and shipping address, then ordered items of a sexual nature and had them shipped to the victim’s home. Vallee also admitted that in some instances, he obtained sexually explicit photos of the victims and their friends and distributed them to the victims, their friends and their family members. With at least one victim, Vallee created a Facebook page using an account name that was virtually identical to the victim’s real Facebook account name, with one letter misspelled, he admitted. He then posted sexually explicit photos of the victim on this fake Facebook page and issued “friend requests” to the victim, her friends and her family members, according to the plea agreement. Vallee admitted that he repeatedly sent threatening electronic communications to his victims, usually by using spoofing or anonymizing text message services, in which he threatened his victims that unless they gave him sexually explicit photographs of themselves, he would continue with the above-described conduct. According to the admissions in the plea agreement, when most of the victims refused to comply with Vallee’s demands and begged him to leave them alone, Vallee responded with threats to inflict additional harm. The U.S. Secret Service investigated the case with substantial assistance from the Belmont Police Department. Senior Trial Attorney Mona Sedky of the Criminal Division’s Computer Crime and Intellectual Property Section and Assistant U.S. Attorney Arnold H. Huftalen of the District of New Hampshire are prosecuting the case. Victims of “sextortion” schemes such as this often may be hesitant to come forward. 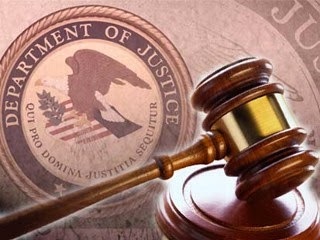 The Justice Department encourages individuals who may be the victims of similar schemes to contact their local law enforcement agencies to report this conduct.